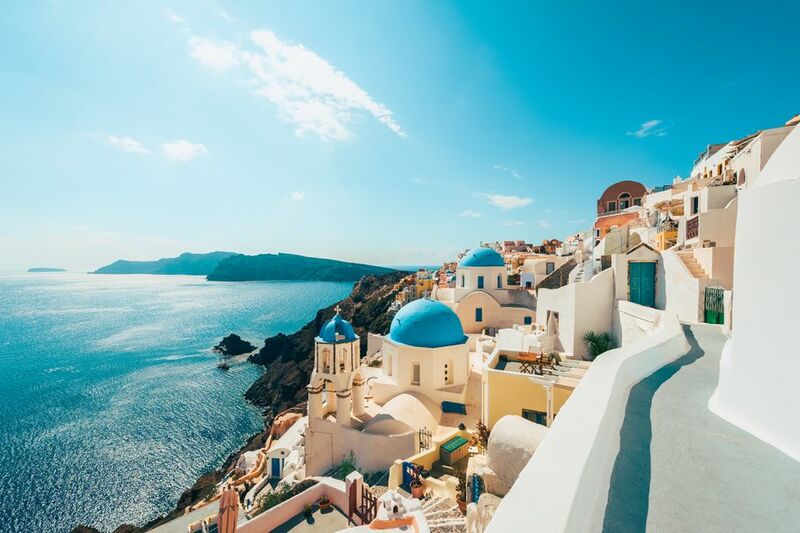 Compared to the countries of Northern Europe, Greece has a relatively mild temperate climate, but it's a bit cooler and more varied than other Mediterranean countries such as Italy. While climate change may indeed be changing some climate details, Greece has remained relatively stable over the past couple of decades. Want more detailed information on the weather in Greece? Here are Greek Weather Forecasts and month-by-month travel information for Greece, including weather. A useful overview of the climate of Greece is provided by the the United States' Library of Congress Country Study on Greece. "The dominant condition of Greece's climate is the alternation between hot, dry summers and cold, damp winters typical of the Mediterranean. But considerable local variation results from elevation and distance from the sea. Generally, continental influences are felt farther north and in the center of the mainland. The main climatic regions of Greece are the mainland mountains, Attica (the southeasternmost part of the mainland) and the Aegean, the west including the Ionian Islands, and the continental northeast. In winter low-pressure systems reach Greece from the North Atlantic, bringing rain and moderating temperatures but also drawing cold winds from the eastern Balkans over Macedonia and Thrace as they pass into the Aegean Sea. The same low-pressure systems also draw warmer winds from the south, creating an average January temperature differential of 4° C between Thessaloniki (6° C) and Athens (10° C). Cyclonic depressions provide the lowlands of the west and the south with mild winters and little frost. Beginning in late fall and continuing through the winter, the Ionian Islands and the western mountains of the mainland receive abundant rain (snow at higher elevations) from the west, whereas the eastern mainland, shielded by the mountains, receives much less precipitation. Thus the average annual rainfall of Corfu off the west coast is 1,300 millimeters; that of Athens on the southeastern mainland is only 406 millimeters. In summer the influence of low-pressure systems is much less, allowing for hot, dry conditions and an average sea-level temperature of 27° C in July. Summer winds have a moderating effect along the coast, but very dry, hot winds have a parching effect that causes drought in the Aegean area. The Ionian and Aegean islands are especially warm in October and November. Greece is sometimes said to have a "Mediterranean Climate" and since every shore of Greece is washed by the Mediterranean Sea, this is not inaccurate. The coastal regions of Greece tend to be temperate and not too cold, even in winter. However, inland areas, the northern regions, and higher elevations all experience chilly winters. Greece also experiences strong winds which also affect temperatures. These include the scirocco blowing toward the north from Africa, warmed by the Sahara Desert. The scirocco often brings with it sandstorms, which can be bad enough to interfere with air traffic. There is also the meltemi, a strong wind blowing down from the northeast, especially in summer months. It frequently interrupts ferry boat schedules, as the winds are too strong for the ships to sail.